July 6th in Backup Plugins, Wordpress Tips by Wordpress Jedi . Managing a WordPress site or two is not that difficult. You will have to take time to update all your plugins, upgrade your themes, manage users, and do other tasks required to run your community by logging into each of your sites. Your job will be much harder when you have to do those tasks for more than a couple of sites. InfiniteWP is an awesome script that makes managing your sites from one place easy. It can even backup all your sites from one dashboard. 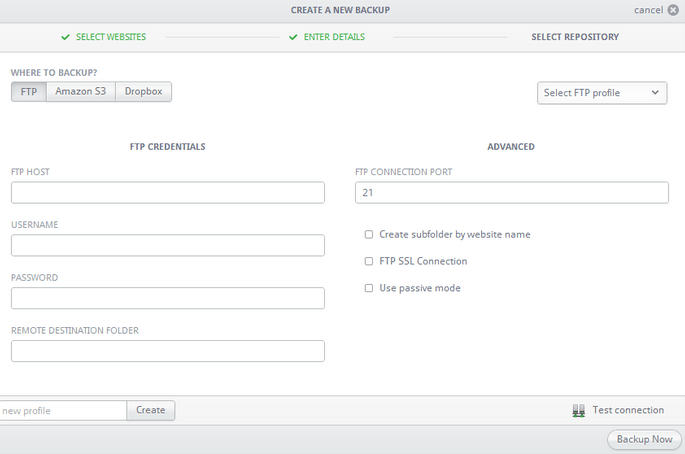 To schedule backups using InfiniteWP, you are going to have to get the Schedule Backups add-on. It is a premium add-on that normally costs you under $70. Once you install that, you will be able to backup your files and database on a daily, weekly, and monthly basis. 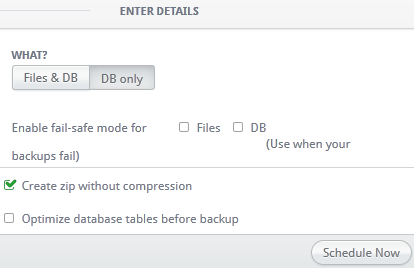 Users can choose the start time for the backup process and the number of backup files they would like to keep. InfiniteWP can optimize your database before starting the backup process. It has a fail-safe mode just in case your backup fails. You can make it even more powerful by picking up the Backup to Repositories add-on. That allows you to send your backup files to Amazon S3 or Dropbox and restore your files more conveniently. InfiniteWP is a huge time-saver for webmasters who have to manage multiple WordPress sites for a living. Many folks prefer premium solutions such as ManageWP to InfiniteWP but we have had a lot of success with both. The above add-ons let you backup your website automatically. What’s not to like?